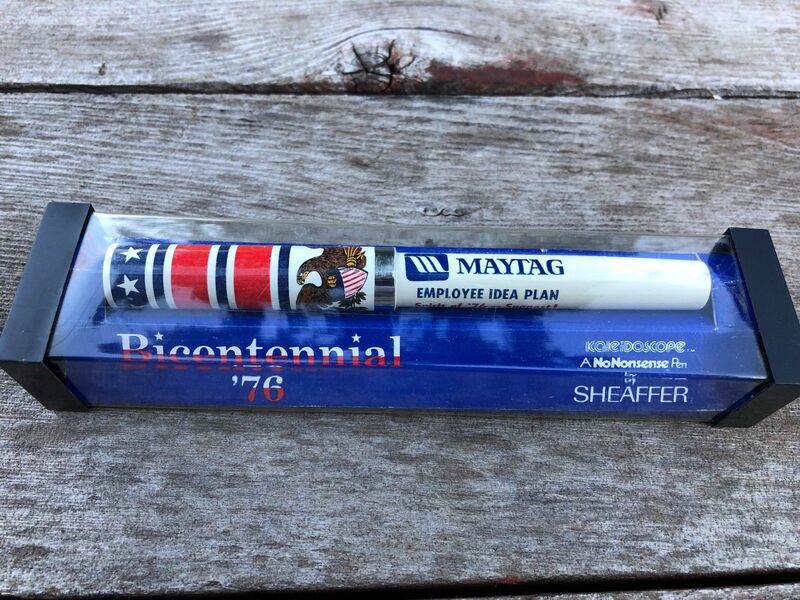 Here is a Nice Sheaffer Bicentennial 1976 Kaleidoscope Ballpoint pen unused in the original box. Has advertising for Maytag Employee Idea Plan on the barrel. 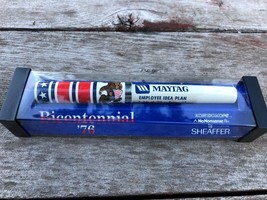 Has not been used, in Excellent Condition, original ink likely dried out.